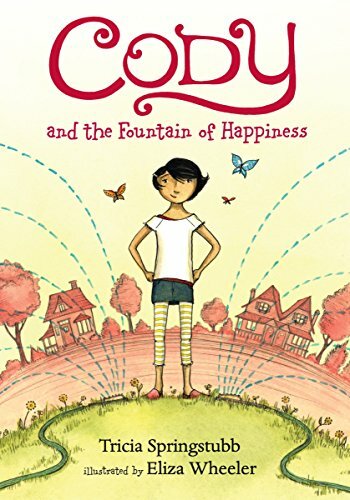 Middle-grade readers drawn to Judy Moody or Clementine will find a funny and charismatic companion in Cody, star of this delightful new series.For whimsical Cody, many things are beautiful, especially ants who say hello by rubbing feelers. But nothing is as beautiful as the first day of summer vacation, and Cody doesn’t want to waste one minute of it. Meanwhile, teenage brother Wyatt is moping over a girl, Mom is stressed about her new job as Head of Shoes, Dad is off hauling chairs in his long-distance truck, and even camp has been closed for the summer. What to do? Just when all seems lost, Cody bumps into a neighborhood boy named Spencer who is looking for a runaway cat. With a new friend and a soon-to-be-found cat, Cody is on her way to the fountain of happiness. That’s how Cody spends her summer vacation. Some days are great. Some days are not so great. When summer begins, Cody thinks she is going to be sent to camp again. But then camp closes, and Cody gets to spend her summer vacation at home.